This is the best bridal shower favor because I use it ALL the time. You only need one small flower to make an elegant statement. I don't have much of a garden, but the little I do fares perfectly for this favor. During the winter months, I pop a silk flower in it and it remains as elegant as ever! Can they be ordered? Where? They look like something I would use. 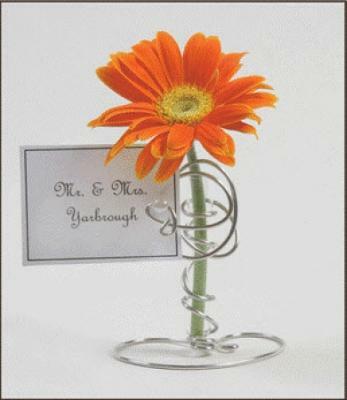 Can you tell me where these great Bud Vase Place Card/Photo holder Bridal Shower Favors can be purchased? I love this...are there instructions on how to make it? If it is not made, then where do you purchase?